Akane | Steam | Opium Pulses - Cheap Prices, Great Service. 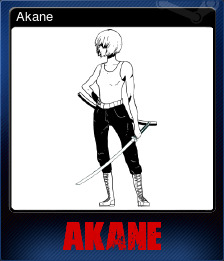 Akane is an Arena Arcade-Slash where you kill your enemies with only 1 hit. The objective of the game is simple, to kill as many enemies as possible. -Yakuza Guy: Yakuza pawn that appears all the time. -Tank: This enemy is the only one who it's not killed by one hit. -Shooter: A Yakuza shooter with cybernetic enhancements that never miss his target. -Cyber Ninja: A ninja who abdicated his body to become a killing machine, his dash is deadly and his defense seems almost impenetrable. 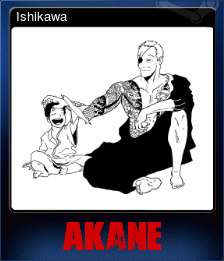 -Boss: Katsuro is Akane's Nemesis which evolves according to the number of times he is killed. 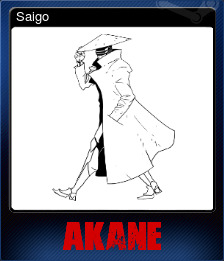 -Cigarettes that change the aesthetics of Akane special abilities. -Gadgets that grant small improvements in combat. -Boots that change the dash and the way you move on the screen. 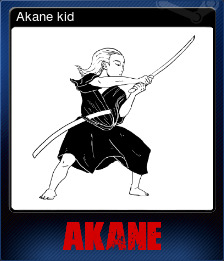 -Dragon Slash: Akane dashes forward killing every enemy in her path. 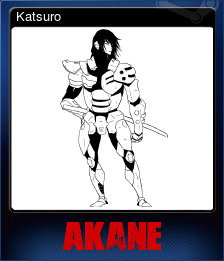 -Dragon Slayer: Akane kills all enemies on the screen. -Sprites with lights and shadows. -Pedestrians and neon advertisements to give life to the scene. IF YOU STOP YOU DIE! WHY SO MANY SHOES IF YOU ONLY HAVE TWO FEET? DID YOU KNOW THAT REALLY EXIST?